Wicked Vision Toys kindly sent us this Sonic Booma boomerang to try out. J was especially pleased as he had been given a similarly shaped boomerang for his birthday when he was younger but it flew away and didn't come back - which he was distraught about at the time. This one seemed particularly unique because of the noise it makes as it whizzes through the air. A kind of whistling noise. We were also pleased to find that when thrown correctly - it did come back! 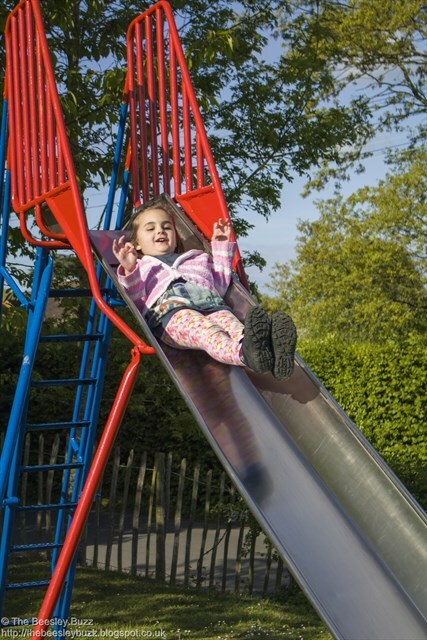 It does travel a fair distance so we headed to a local playing field to try it out as our back garden isn't big enough. There are full instructions on the back, but in summary, it needs to be thrown slightly off vertical rather than a horizontal throw that you would do with a traditional frisbee. This is a great little toy - especially for kids that get to the age my boys have reached - that age that's generally hard to buy gifts for. We'll need to practice a bit more with it to get a decent catching jump or #boomajump, but we had great fun playing with it at the park. Wicked Vision toys actually have a great selection of unique toys. I'd say they would mainly appeal to older kids and even adults. We were sent the Sonic Booma boomerang for the purpose of review. All opinions are our own honest opinions. Playing outdoors. 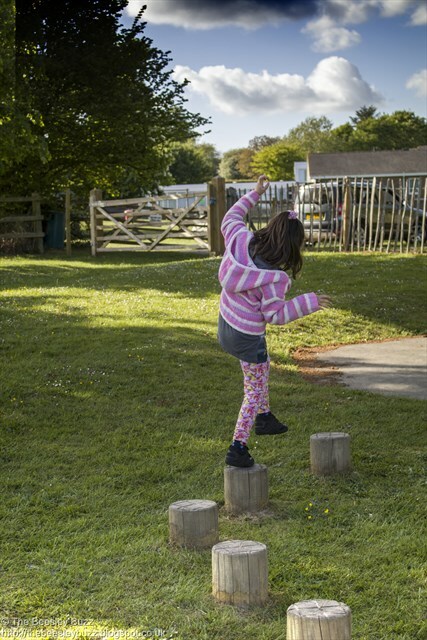 We all know it's great for kids to get outside - get some fresh air and exercise - but the importance of outdoor play goes much deeper than that. 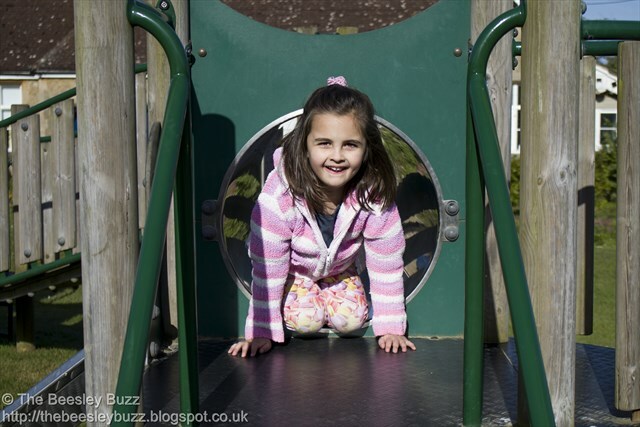 As parents and carers, we instinctively want to protect our children and keep them safe. Yet children need to be able to express themselves freely, to explore, to learn to take appropriate risks, to conquer some of their fears. 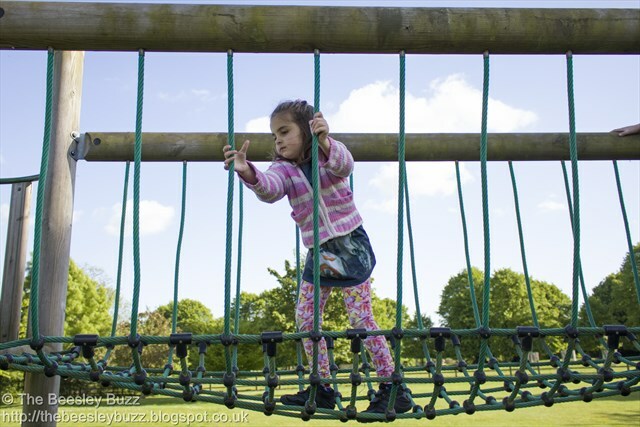 And one of the best ways for them to learn these things is through outdoor play. I remember listening to an incredibly inspirational speaker way back in my childcare days who described how within the home, mum and dad are in charge, at school the teachers make the rules but outdoors it's them. 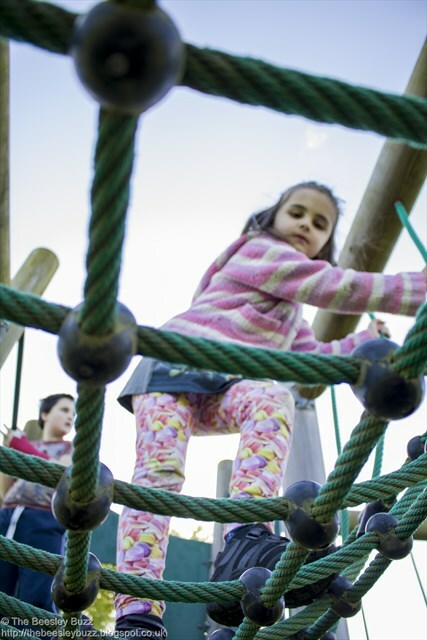 The outdoor world gives children a sense of freedom that is unrivalled. 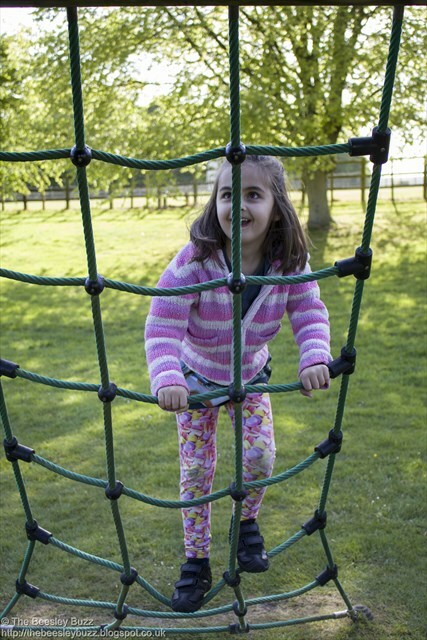 This in turn helps them with learning independence, enhances creativity, they learn to take calculated risks and they navigate themselves over, through and around obstacles - whether they be trees and branches to climb in the woods, or play frames and slides at the park. 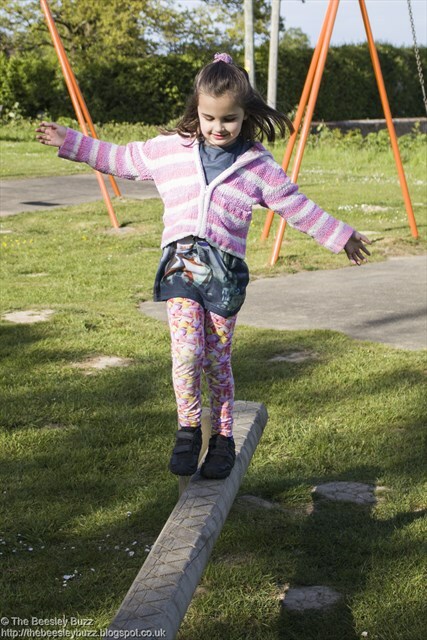 They will feel closer to nature and benefit from the movement and exercise they get from being outdoors. Of course we still need to be there to keep them safe and encourage and reassure. Spending more time outdoors will inevitably mean the occasional cut, scratch or graze. For those minor bumps and scratches understanding and sharing their hurt seems to help my children. Rather than saying 'don't be silly' or belittling the pain they are experiencing, reassuring them by saying that 'I know it hurts but it will get better' helps them feel hopeful that the pain will pass. Reminding them of their achievements often brings a smile through those tears. 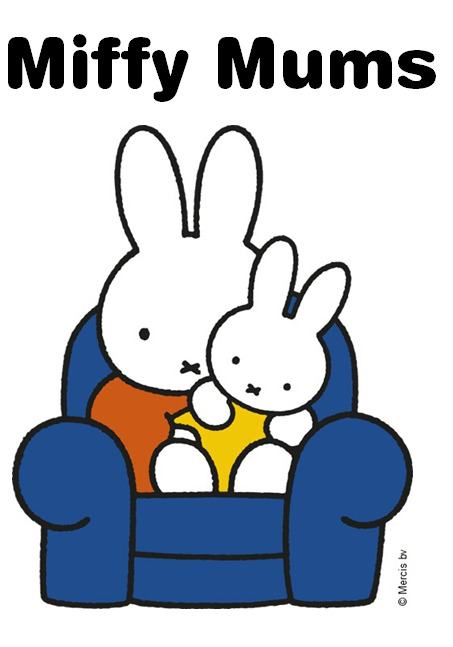 "wow - you managed to climb the big climbing frame yourself today - I'm so proud of you!" Distraction can also help. I remember when my son was younger he would want to show granny every new scratch and cut. It soon became a way of distracting him when he had a tumble: "We can show that graze to granny next time we see her". Characters on Elastoplast plasters have also proved to be a great distraction technique. 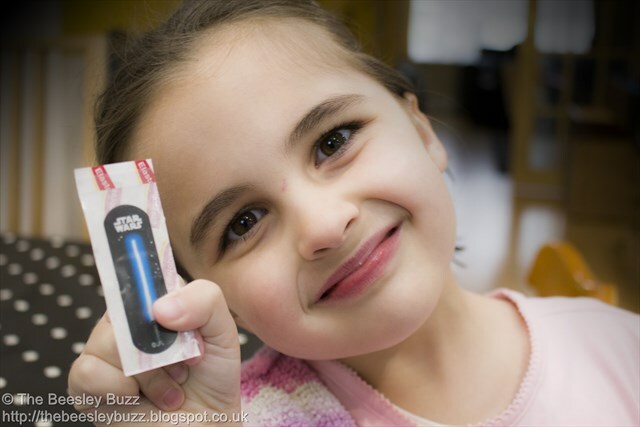 Especially for a massive Star Wars fan like Miss T. We've written about just how much she loves Star Wars here and here, so having to make a decision about whether to choose a Chewbacca plaster or a Darth Vadar one quickly occupies her mind more than the reason she was crying in the first place. 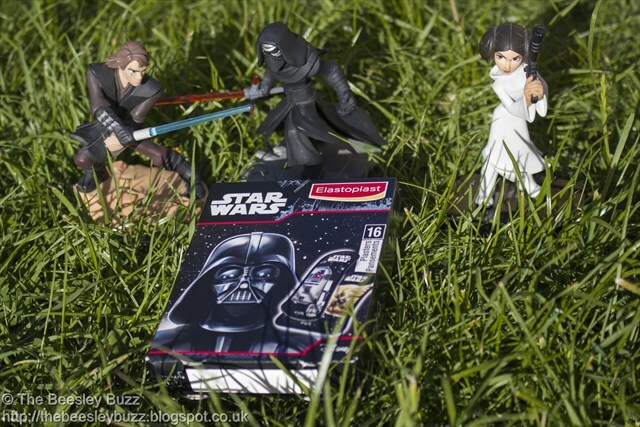 Not only have these Star Wars themed Elastoplast plasters proved invaluable for outdoor play, but every week on a Friday something unavoidable has to happen in Miss T's life. She hates it. In fact, Fridays are the worst day of the week for her. 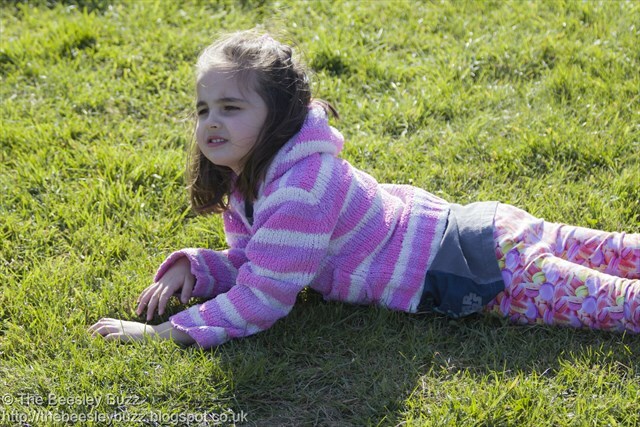 Each and every Friday she needs to have an injection of Methotrexate to keep her juvenile arthritis under control. It hurts. We do every thing we can to minimise the pain but because the injection is subcutaneous (under the skin) unlike a blood test for example, things like EMLA cream or cold spray don't help. We do use a cold compress beforehand. We try to distract her with books and games and jokes. But there's no getting away from the fact that it hurts. The medication itself is also cytotoxic (cell-killing) so if it was to spill onto skin it would harm her skin cells so it's important to have a plaster at the ready to prevent any of the medication oozing out once the injection is done. Having tried all sorts of distraction methods without too much success, we decided to try letting Miss T choose her plaster as a distraction technique last Friday and then using that plaster straight after her injection. It worked. Her tears soon turned into smiles. Thank you Elastoplast. 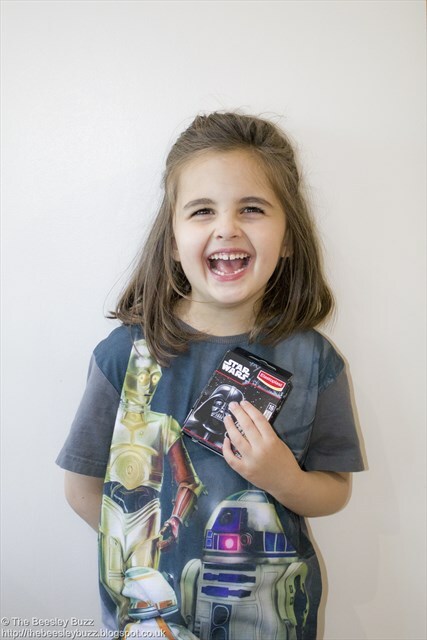 We weren't quick enough to get sent the kit with plasters but, knowing what a big Star Wars fan Miss T is, we already had these Elastoplast Star Wars plasters in our first aid cupboard. 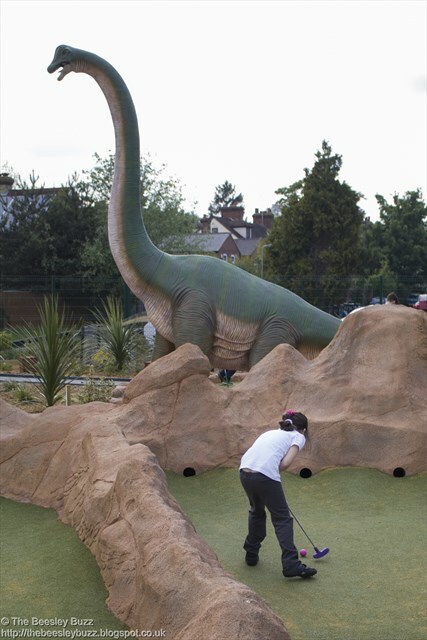 Dinosaurs may be extinct from the face of the planet, but they are alive and well in our imaginations (and at Mr. Mulligan's Dino Golf). Having grown up in cosmopolitan and colourful Brighton, when I first moved to Kent I found it rather unremarkable in comparison. But in recent years, things have come a long way. Once upon a time it was near impossible to find a coffee shop on Tonbridge high street, the town now boasts too many to count. The industrial estate used to be just that, industrial. But in recent months we've seen a new indoor trampolining centre, Jump in, arrive, as well as a new M&S food store, a revamped Halfords, and a brand new shiny Mcdonalds - much to the kids' delight. And most recently we've seen the arrival of Dinosaurs! Yes dinosaurs. In the form of Mr. Mulligan's Dino Golf. 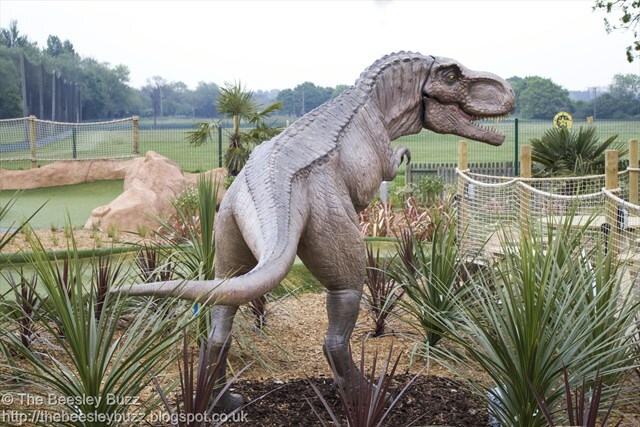 The kids have been nagging to go since they saw the site being built and it's been a delight to be able to try out the new 18 hole dinosaur themed adventure golf course. 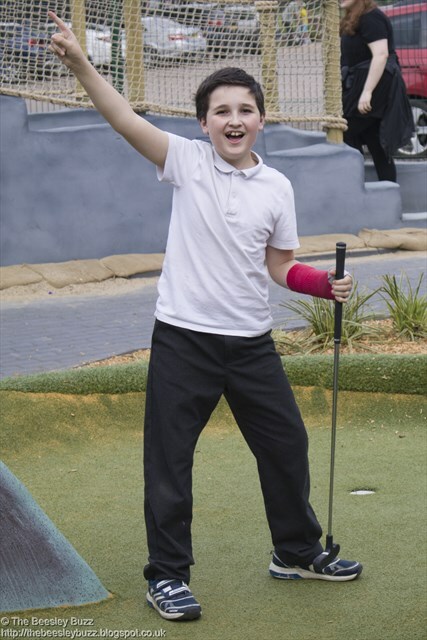 We booked in for an evening session after school as it's open daily from 11am until 7pm on weekdays. Weekends tend to be busier and it opens from 9.30am. Do check in advance before your visit as opening times may vary depending on the season. 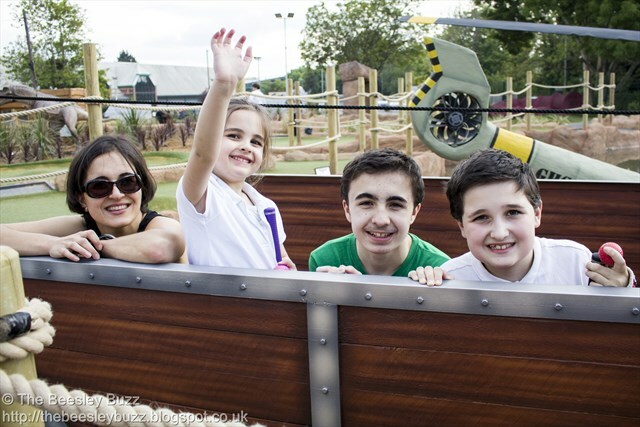 Our kids are aged 5, 11, and nearly 13 and all three thought this place was fabulous! 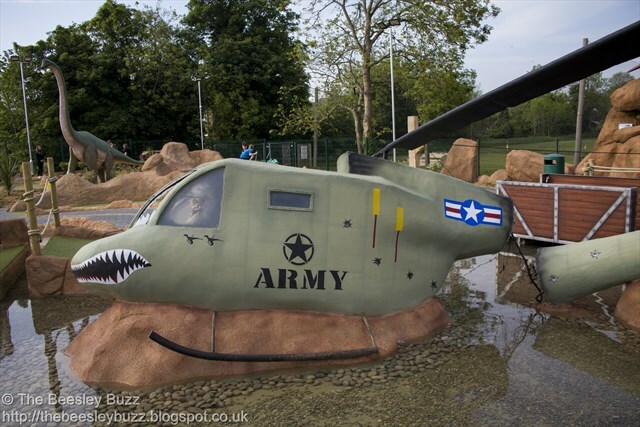 A lot of effort has gone into making this place look great with all the dinosaurs, planting and other features like the helicopter wreck and safari jeep as well as a water feature which has a raft on a pulley system to cross it. 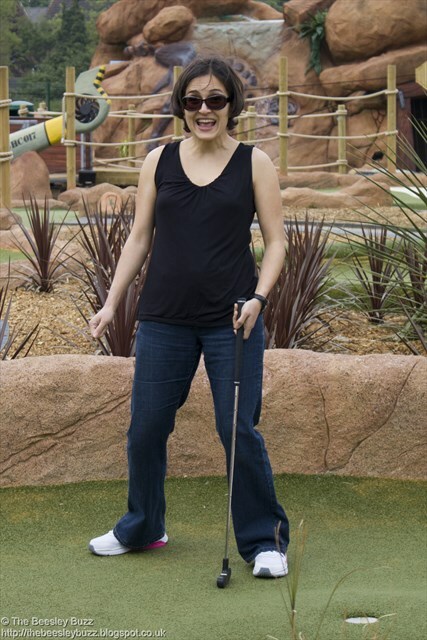 We found ourselves laughing at each others effort, cheering each other on and celebrating when D managed to get a hole in one! Miss T seemed to think that the more shots you took at the ball, the higher your score and the more chance of winning - we didn't correct her as she was having so much fun chasing the ball around and hitting it again and again. 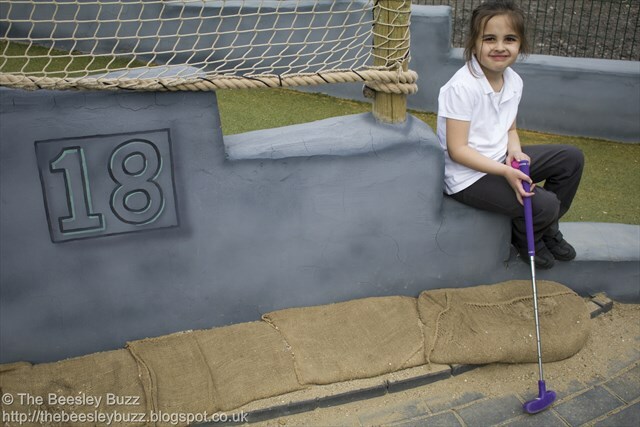 She was given a smaller size club than the rest of us which was perfect for her to use. We each seemed to have a different favourite hole - I loved the water-jump one where you had to hit the ball over the water to the other side where the hole was. Daddy's fave was the three tunnel hole as he somehow managed to get it into one of the tunnels on his first attempt and then finished the hole with just one more shot. 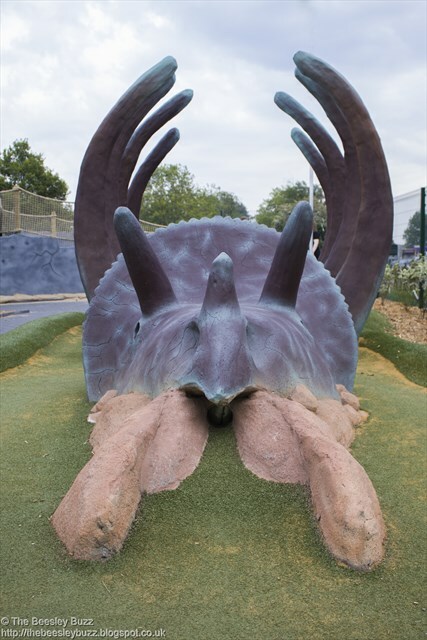 D couldn't believe his eyes when he got a hole in one through Triceratops' rib cage. Awesome! 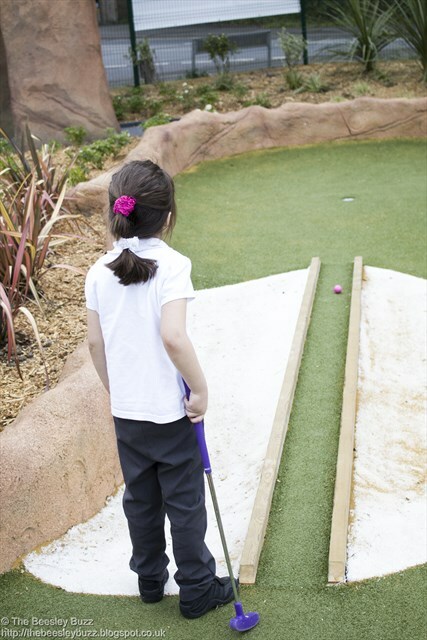 The final hole, hole 18 is quite a challenge as you have to get the ball up a hill to the hole. Our session took just over an hour but I'd imagine you'd need to allow longer during busy periods as you may need to wait between holes. The prices are reasonable in comparison with other similar attractions. 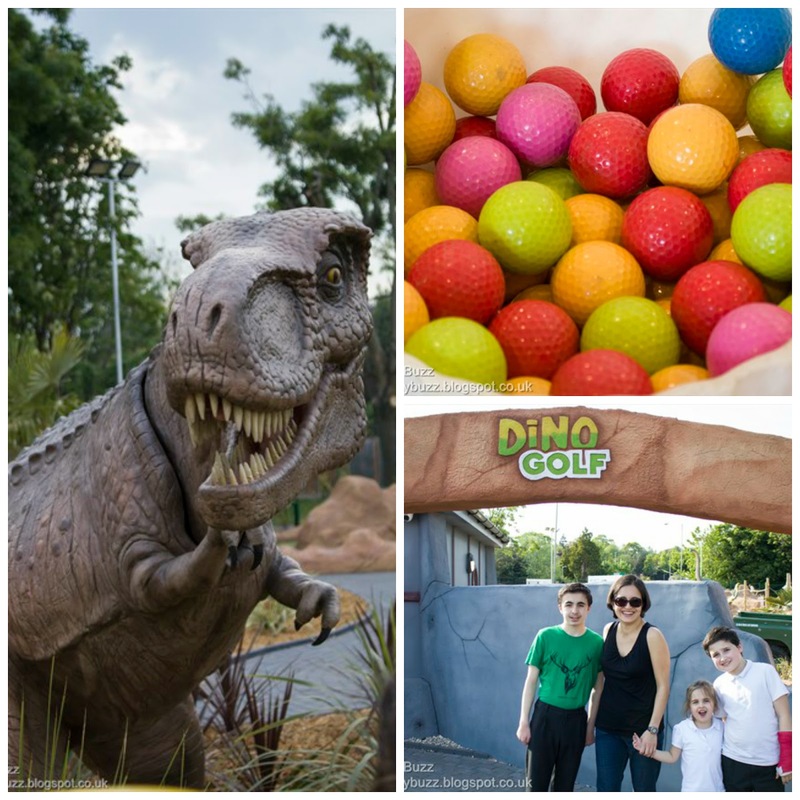 There is a party room available for birthday parties and although there is no cafe at the actual Dino golf venue, Tonbridge Golf Centre just next door does have a cafe (and of course a certain burger chain with golden arches can also be found very nearby too). 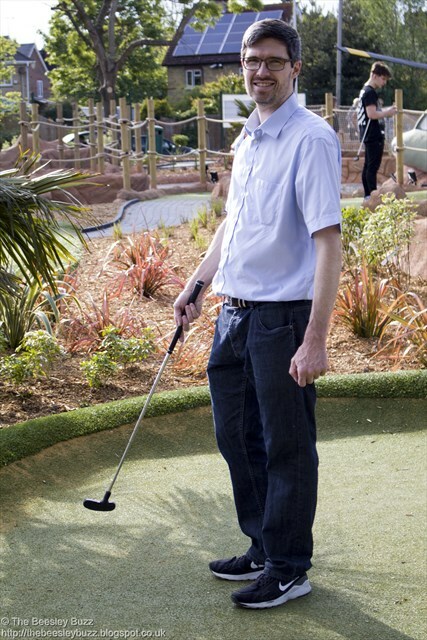 We were very impressed with Mr. Mulligan's Dino Golf and I have a feeling that we will be back again very soon. 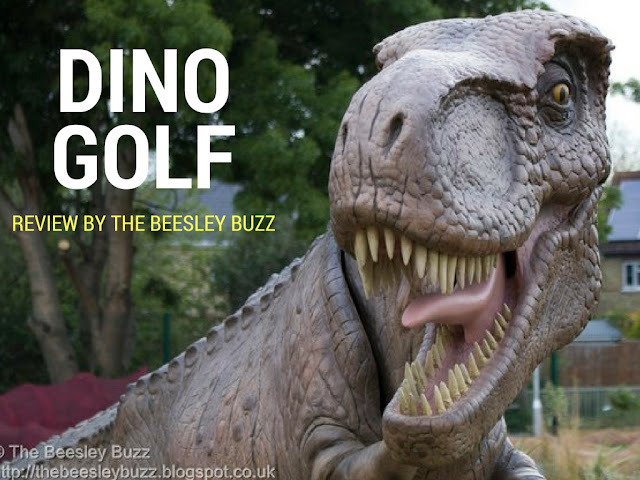 You can find out more about Mr. Mulligan's themed golf centres here and more specifically about Dino Golf in Tonbridge here. 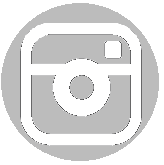 Keep an eye out for their latest news including their special LAUNCH PARTY on 29th May 2017 on their facebook page. Disclosure: We received a complimentary family ticket to Dino Golf for the purposes of review. All opinions are our own honest opinions. Title quote attributed to Steve Miller: "Dinosaurs may be extinct from the face of the planet, but they are alive and well in our imaginations"
We fell in love with Nim's Fruit Crisps last year when we were sent some of their Fruit crisps to try out. They soon relaunched with a great new look and new packaging and a range of vegetable crisps too. Unlike so many other 'healthy' snacks that contain hidden ingredients that leave you having to carefully read the pack looking for any nasties, what made me so pleased to have discovered Nim's was that their packs literally contain just the fruit and veg the crisps are made with. No oil, no chemicals, no preservatives, no added salt, no added sugar. Just pure fruit and veg. They thinly slice and air dry the fruit and veg to get them tasting crispy and delicious without compromising on goodness. 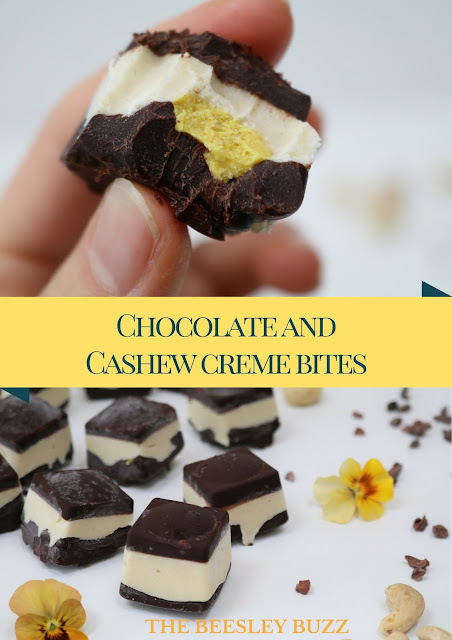 We soon discovered that our kids preferred to come home and munch on a pack of Nim's rather than reaching for biscuits or cereals bars as their after-school snack. Soon they were asking to take Nim's to school in their lunchboxes and for their breaktime snack. Last year, the trouble was that I would have to split a pack of Nim's as around half the pack would make the perfect portion size to add to D's lunchbox. He has a fabulous Yumbox so at least he could pop them into one of the compartments to keep them tasting fresh. But then I'd have to clip the other half closed until after-school. Nim's Kids range has been a solution to our problem. Designed with kid's in mind, these packs are the perfect portion size for children to munch on and little hands to hold. The colourful packs appeal to children and parent's can remain confident that there are no nasties inside - just delicious tasty pure air-dried fruit and veg. Each pack is certified as one of your 5 a day. Making them the easiest way we have found of getting our kids to eat their fruit and veg. My kids are generally fairly good with eating veg but if there is one vegetable that they all detest, it's courgette. And yet, Nim's Kids Cool Courgette veg crisps made eating courgette a doddle! Nim's sent me their Nim's Kids range to try out as we would consider ourselves to be quite possibly Nim's biggest fans! As always our opinions are our own honest opinions.